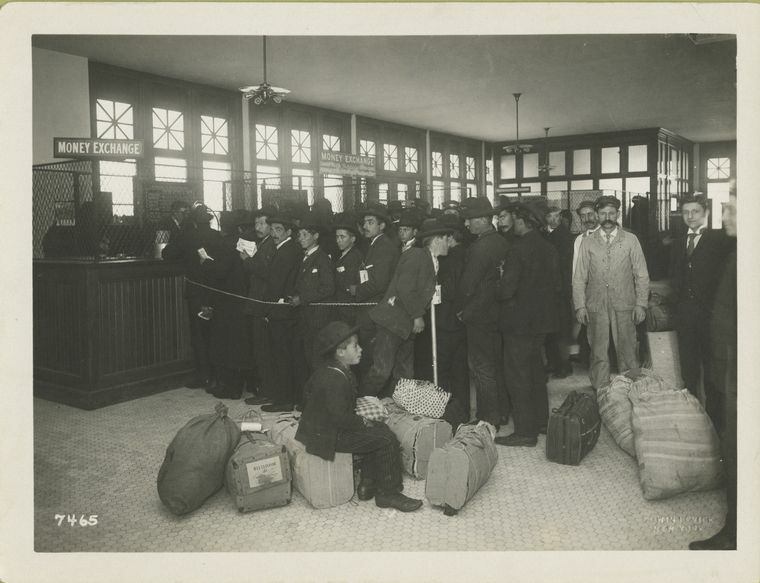 But when we talk about the history of immigration, we usually talk about a specific history dating from the mid-19th to early-20th century, during which diverse groups of people arrived from all over the world, bringing with them their languages, customs, food, and cultures, and only slowly becoming “Americans" as they naturalized and assimilated to various degrees, forcibly or otherwise. 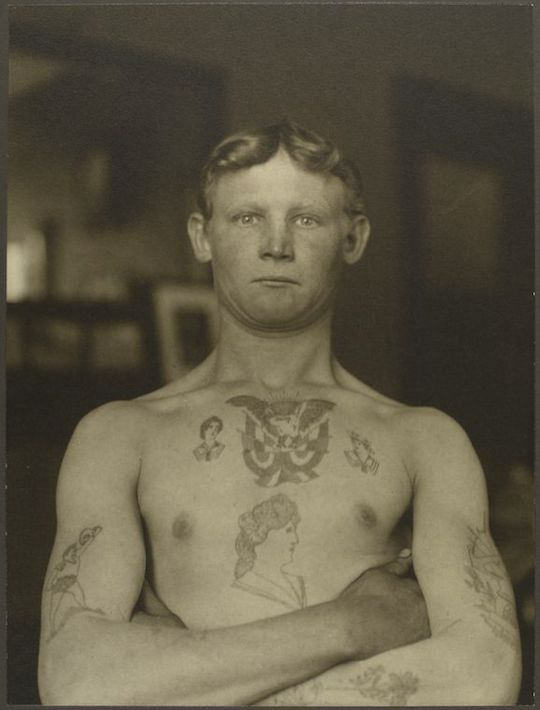 We also talk about a legal history that proscribed certain kinds of people and created hierarchies of desirable and undesirable immigrants with respect to ethnic and national origin and economic status. 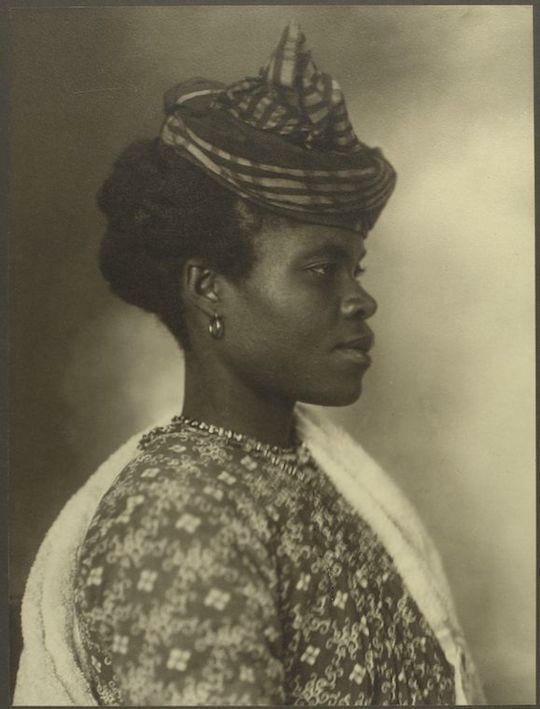 Many of these individuals also sat for portraits taken by the Chief Registry Clerk Augustus Sherman while “waiting for money, travel tickets or someone to come and collect them from the island.” Sherman’s camera captured striking images like the poised Guadeloupean woman in profile at the top, the defiant German stowaway below her, stern Danish man further down, Algerian man and Italian woman above, and severe-looking trio of Dutch women and Georgian man below. 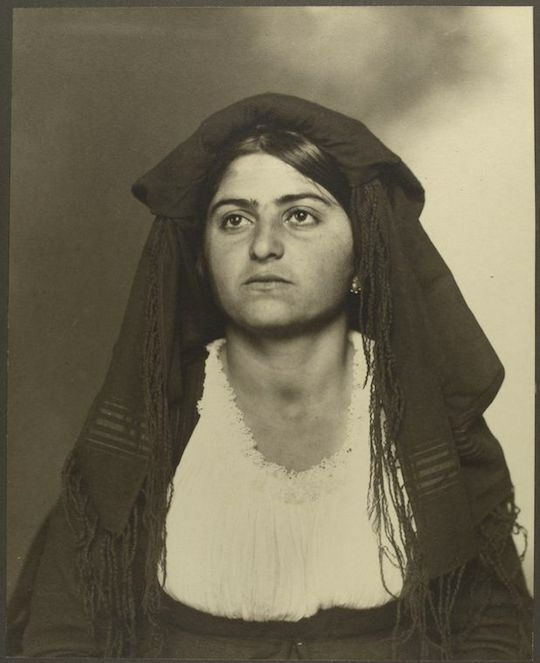 These photographs date from before 1907, which was the busiest year for Ellis Island, “with an all-time high of 11,747 immigrants arriving in April.” About two percent of immigrants at the time were denied entry because of disease, insanity, or a criminal background. 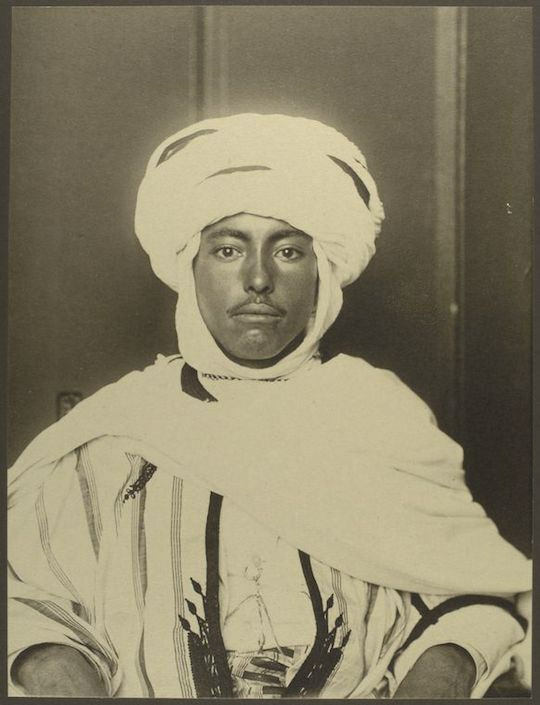 That percentage of people turned away rose in the following decade, and the diversity of people coming to the country narrowed significantly in the 1920s, until the 1924 immigration act imposed strict quotas, “as immigrants from Southern and Eastern Europe were seen as inferior to the earlier immigrants from Northern and Western Europe” and those from outside the European continent were limited to a tiny fraction of the almost 165,000 allowed that year. 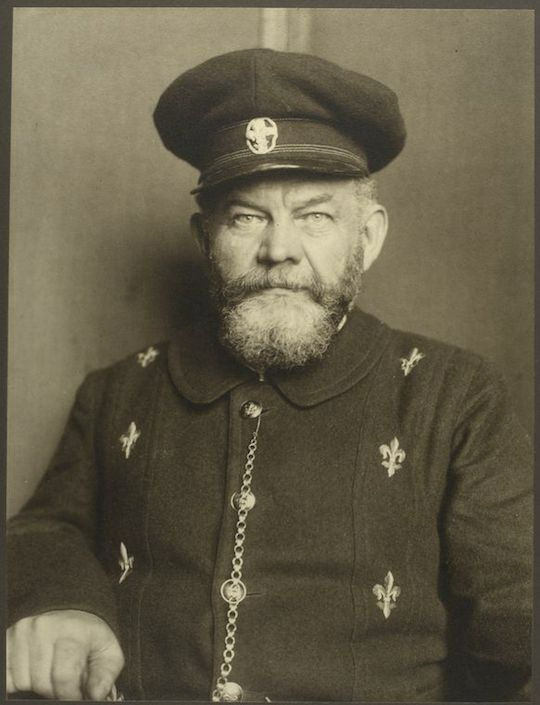 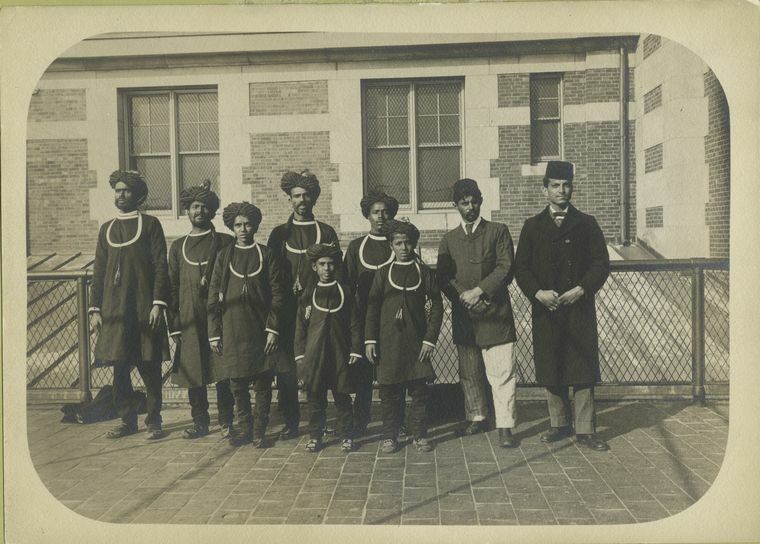 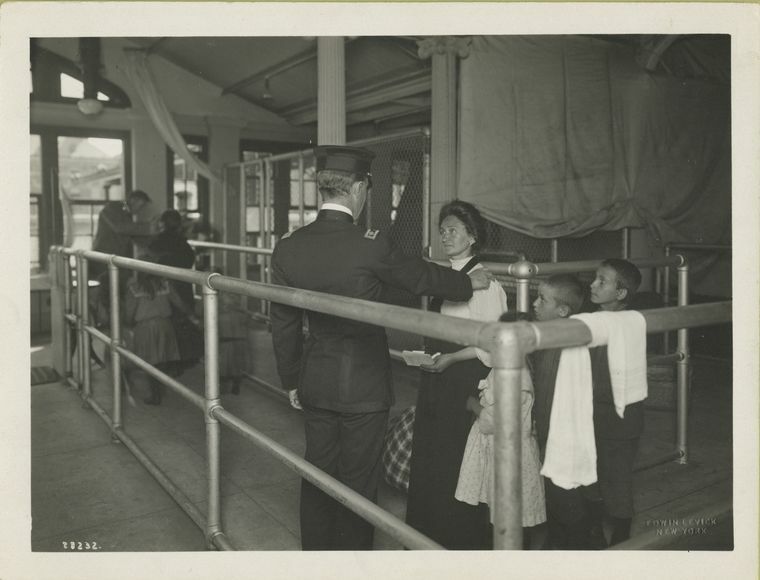 These images come from the New York Public Library’s online archive of Ellis Island Photographs, which contains 89 photos in all, including several exterior and interior shots of the island’s facilities and many more portraits of arriving people. 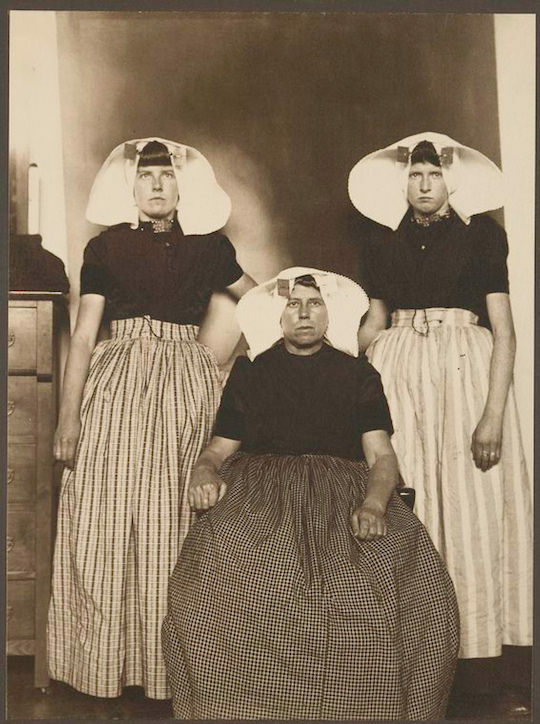 We’re grateful to the Public Domain Review (who have a fascinating new book on Nitrous Oxide coming out) for bringing these to our attention. 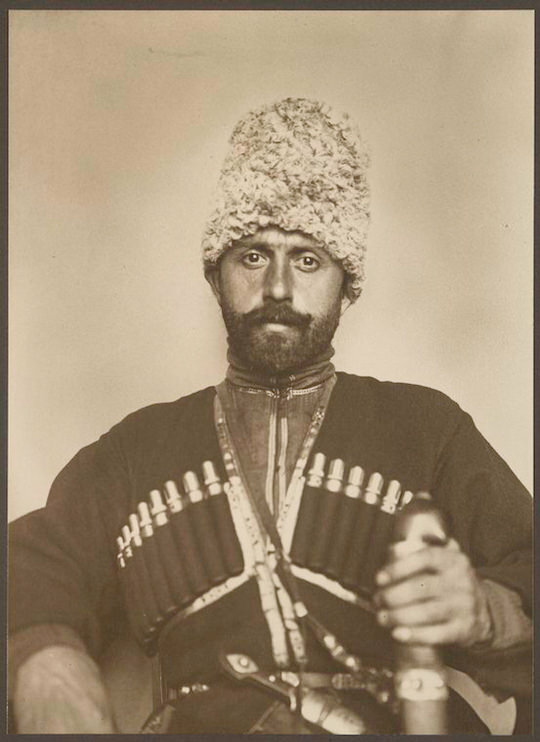 For more of the NYPL’s huge repository of historical photographs, see their Flickr gallery of over 2,500 photos or full digital photography collection of over 180,000 images.